John Deere Low Viscosity HyGard transmission oil is specially formulated to provide the best performance and wear protection for John Deere transmission and hydraulic systems. Low-Viscosity Hy-Gard should be used in all applications calling for JDM J20D. 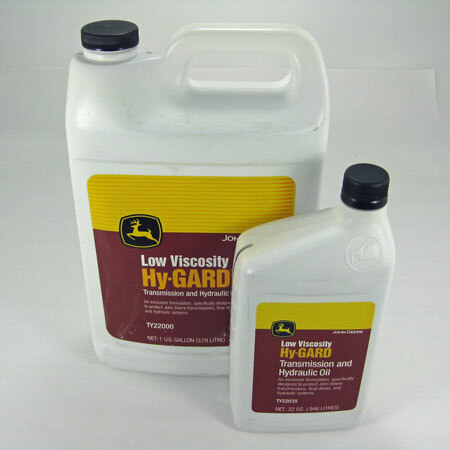 Low-Viscosity Hy-Gard and Hy-Gard are compatible with hydrostatic oil and can be added to systems that contain hydrostatic oil. Q. 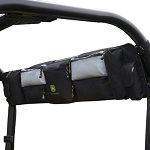 Why buy Hy-Gard instead of competitive brands? A. Peace of mind. When you purchase a John Deere oil or lubricant, you purchase security and confidence that you are getting the best product you can use in your John Deere equipment. 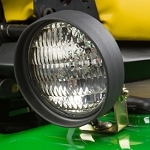 Competitive products may not meet the performance established by John Deere which are required to properly protect the engine, transmission, or hydraulic system. This is quality oil that keeps my tractor running like a deere . Came quick, packaged well and cheaper than both local dealers. These guys always impress. Excellent low viscosity hydraulic fluid. Delivered timely at good price. What's not to like?